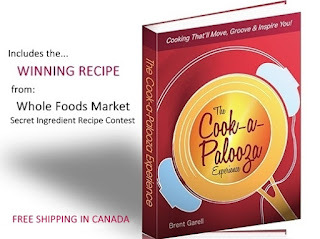 The Cook-a-Palooza Experience: Butternut Squash Apple Soup: 3 Easy-to-Overlook Steps That Make it Taste EXTRA Good! 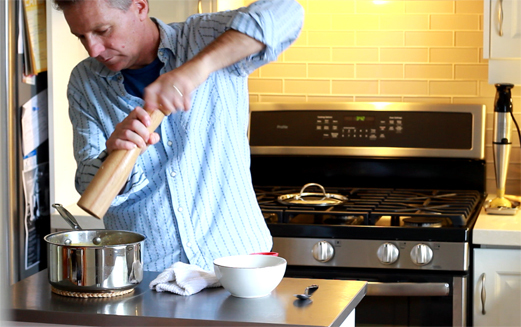 Three tips to put to the test the next time you make soup! Great tasting homemade soup is usually a result of following the simple advice we hear from chefs, or read in cookbooks and magazines. When I follow their tips, like the three listed below, I get better results. The good news is, each one is easy to accomplish. The bad news is, they are just as easy to overlook. Try this once, if you haven't before. 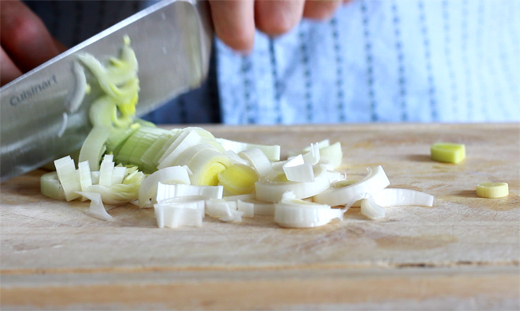 Use a chopped leek as a substitute when following a soup recipe that calls for a yellow onion. Yes, leeks are big, bulky, and more expensive. But see for yourself if the leeks mild flavor heightens the savory flavor of your favorite soup. My bet is you will like what you taste!!! It's a saying ingrained in my head thanks to the many chefs I used to watch cook soup on television. Ignore this advice, and be prepared for a pureed soup that is either too thin or overly thick like baby food. 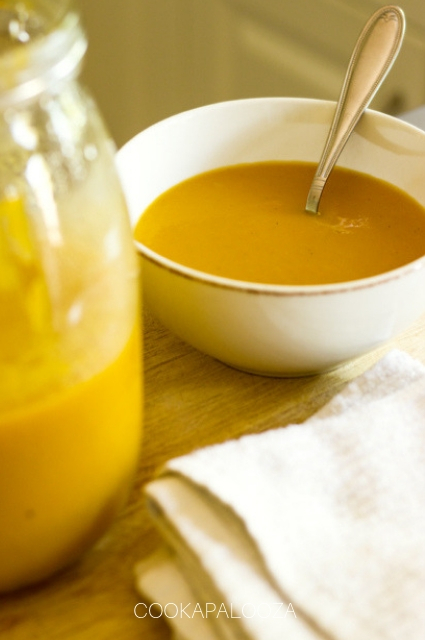 This time when I prepared the Butternut Squash Apple Soup recipe below, I followed the advice. 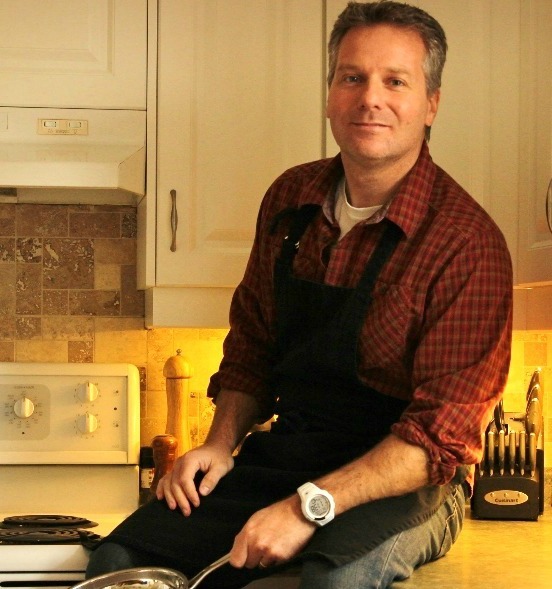 "Taste and Season as You Cook"
Another nugget of sound advice we hear from the pros. 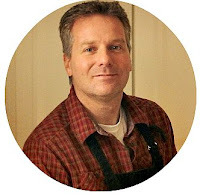 ✔ Want more recipes, tactics, and cookware to get the best results, when you cook? Grab my weekly updates. It's FREE 👉 Click here to get the next edition. 1. In a large soup pot, melt butter over medium heat. Add leeks, carrots, apples, brown sugar, and nutmeg. Season with salt and pepper. Cook and stir until vegetables begin to soften, about 5 minutes. Add squash and potato. Season with salt and pepper before adding chicken broth. 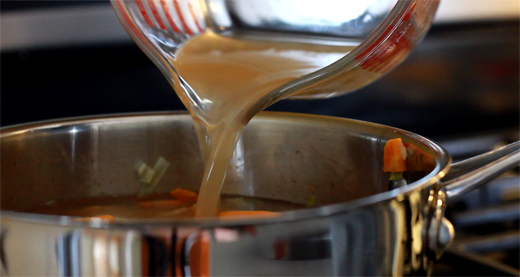 Reduce heat to low and simmer, covered, until vegetables are very tender, about 20 to 25 minutes. Remove from heat. 2. Puree soup, with a blender until smooth. Taste and season again with salt and pepper (if necessary). Ladle hot soup into serving bowls and garnish with chives (if using). Hi, Brent here. If you like this recipe, you might like my previous one which is a Sweet Potato Nacho Recipe. Totally addictive...but good for you! Click the recipe link 👆 to check it out. Cheers!